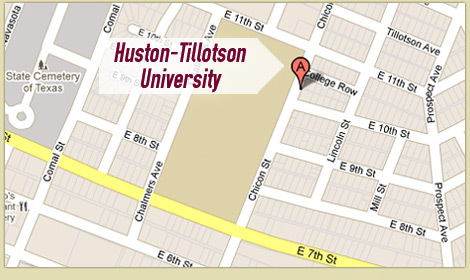 On Tuesday, July 11, Huston-Tillotson University, in partnership with the International Office at The University of Texas at Austin, will welcome 25 Young African Leaders to the city’s oldest institution of higher learning for a dialogue with students, faculty, staff, and the community. These young African leaders represent 19 different Sub-Saharan African countries. As part of their visit, the Fellows will each be given 1-2 minutes to share their stories with attendees, participate in a 45-minute Q&A session, followed by a mixer where Fellows will have one-on-one opportunities to engage with students, staff, faculty and the community. This free event is scheduled between 2-4 p.m., in the Davage-Durden Student Union, and is also open to the public. The Fellows, who are between the ages of 25 and 35, have established records of accomplishment in promoting innovation and positive impact in their organizations, institutions, communities, and countries. In 2017, Fellows represent a diverse group of leaders from 48 countries across Sub-Saharan Africa. According to their website, 51 Fellows identify as having a disability, and 50-percent of Fellows are women. The Mandela Washington Fellowship, the flagship program of the Young African Leaders Initiative (YALI), empowers young African leaders through academic coursework, leadership training, and networking opportunities. Fellows are from every country in Sub-Saharan Africa and have established records of accomplishment in promoting innovation and positive change in their organizations and communities. The Mandela Washington Fellowship for Young African Leaders is a U.S. government program funded by the U.S. Department of State and supported in its implementation by IREX. For more information about the Mandela Washington Fellowship, visit yali.state.gov and join the conversation at #YALI2017.